San Gorgonio’s Nate Meadors talks about choosing to sign with UCLA, over Notre Dame. Nate Meadors says how hard it was to say no to Notre Dame, as well as enrolling early into UCLA. He will finish at San Gorgonio on March 13, and be at UCLA for spring practice on March 30. Here is an early list of San Bernardino high school athletes expected to sign National Letters of Intent next Wednesday. Here are videos of Aquinas High athletes after signing their National Letters of Intent on Friday. Volleyball player Amanda Kirtley, above talks about signing with Cal. 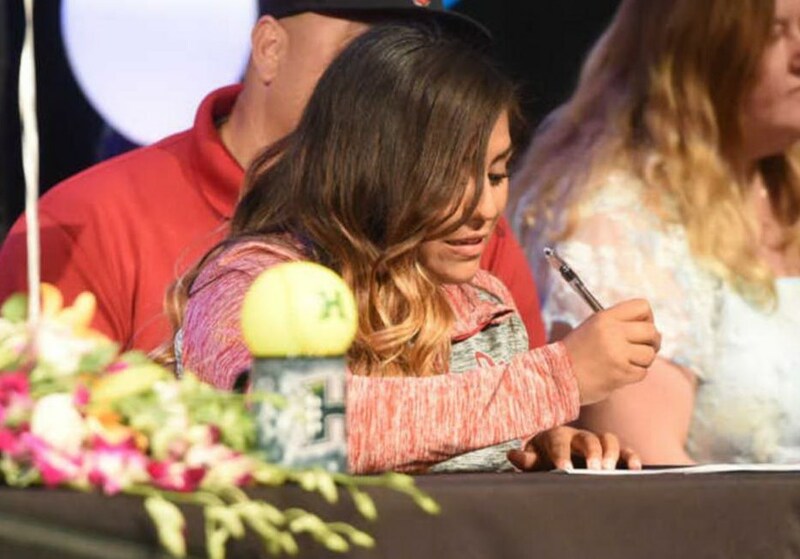 Softball player Zoe Casas, above, talks about signing with Florida State. Softball player Allie Hotetz, above, talks about signing with Hampton University. 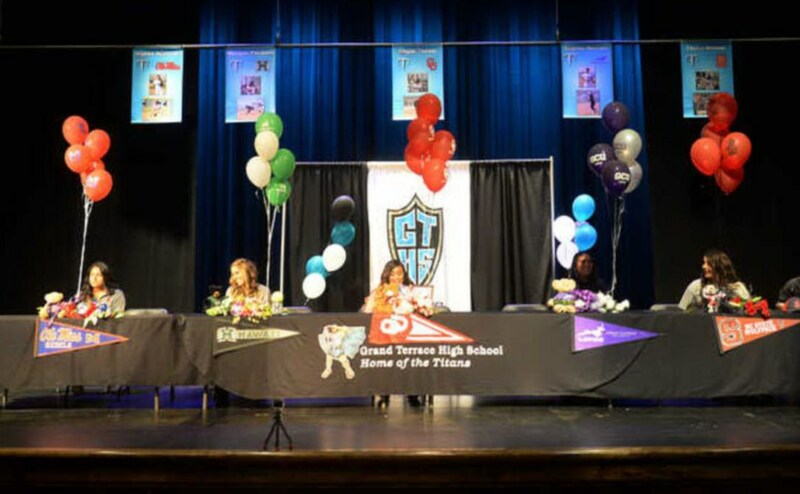 Redlands East Valley athletic director Rhonda Fouch talks about volleyball player Sascha Dominique signing with Loyola Marymount and softball player Autumn Gillespe signing with Central Florida. Athletes expected to sign their National Letters of Intent this week. If you have someone not on this list, or if you have photos you want to submit, email me at pete.marshall@langnews.com. 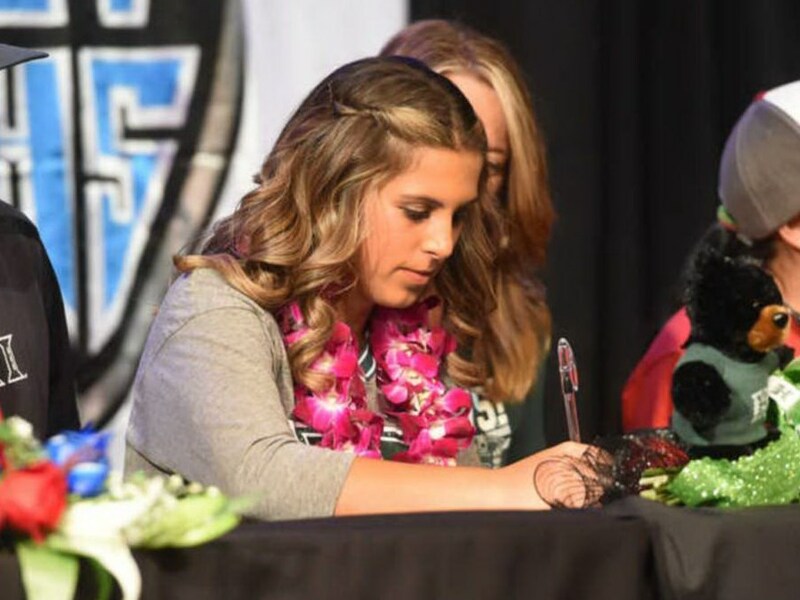 Kirsten Caudle – softball- Iowa St.
Nene Alas – softball Sacramento St.
Signings from San Bernardino County from the early signing period, either have already signed or are expected to sign.